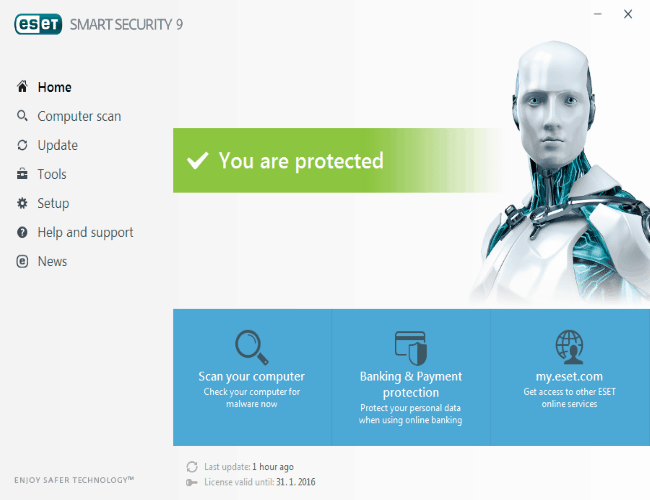 The new ESET Internet security v10 offers all-in-one security solution, This suite includes parental control tools, a firewall, Anti-Phishing, Password Protection, email filtering, Cloud-powered scanning and application control., In addition, it has the ability, to locate your missing laptop with Anti-theft feature and gives you the tools to help recover your lost data. and this site will display the missing laptop position on a map based on the way-Fi networks in range when it comes online . 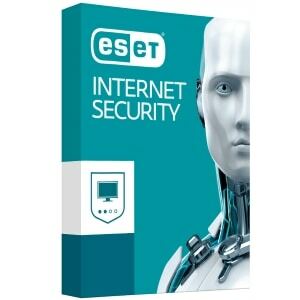 The new version of ESET Internet security helps to keep your PC to be fully protected, With the new features set and enhancement make it one of best internet security software in the market for this year, The strength of ESET Its fast scan and fixing with improved spam protection compare to the older version, and the new anti-theft component feature Lets you make your laptop as missing via ESET Account Web interface., View desktop snapshots and webcam photos, and it will help you to recover stolen data In addition, ESET provide Parental Control, removable media control to prevent infection via USBs and DVDs. 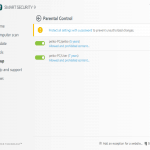 Installing ESET Security is quick and includes step-by-step instructions. the program can go from completing the download to ready to use in about 4 minutes. very good comparing to other competitors such as Bitdefender or AVG, in-addition The installing process includes a pre-installation scan. One of the improved feature that directly impact your online security is the Anti-Phishing that will enable you to prevent fake websites masquerading as trustworthy ones from acquiring your personal information, and with the strong personal firewall which will stop hackers from accessing your computer and taking advantage of your personal data. 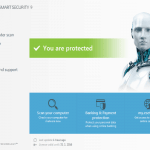 To maintain proactive protection, ESET automatically updates itself to reduce your computer’s exposure to unknown threats. Using the powered Scanning which will gather to ensure a faster scanning process that uses our online file reputation database for white-listing safe files. 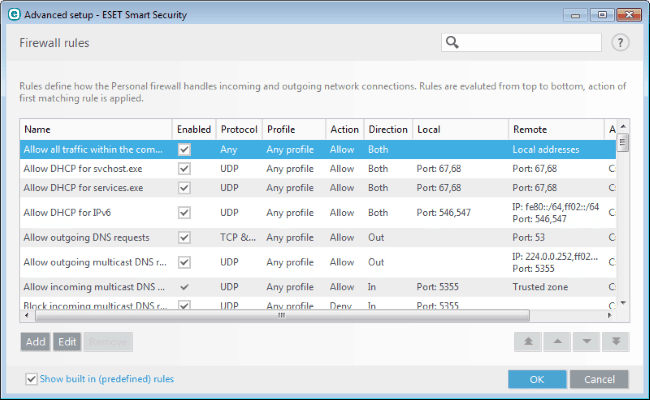 Resource usage during real-time protection was among fair comparing to other Security suite we have tested. CPU usage has been typically just 2-4%, During manual scans Real-time resource usage was using only about 0.9% of CPU/memory. A full-system scan, or manual use 25% – 45% CPU usage not very good comparing to our top rated product , but still is better than other AV software. Anti-phishing and malicious website blocking were equally effective almost 97% during our test, with a clear blocking message. Of all malware and Trojans. In our testing ESET Internet security was able to remove most of the viruses that we put it up against. there were three problems threats that needed additional work to clean; it asked permission before taking further action, after it’s done it require a reboot to finish the cleanup. 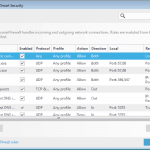 ESET Internet security detected 91 percent of the preexisting threats, not very high score comparing to our best endeavors BitDefeneder Internet Security. . Testing the anti-Phishing and malicious website blocking ESET score Very good and it was effective almost 96% during our test, and ESET show us very clearly blocking message when a malicious site is encountered. 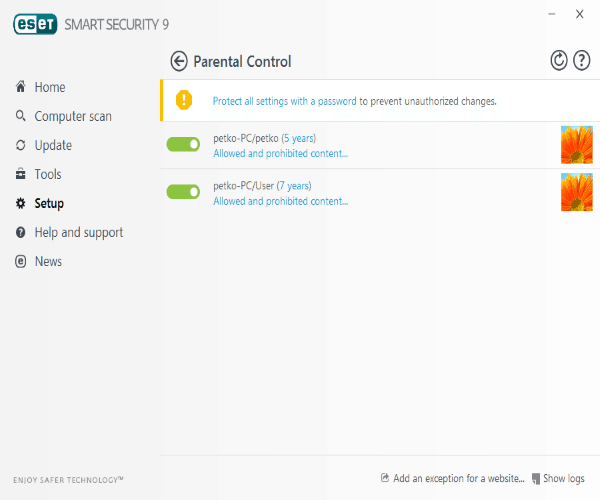 To join the discussion on ESET I have to say I am very dissapointed with ESET Support! It might be that the Software is a good choice for a business, but taking into account, that making a business support inquiry per contact form (email) will take up to 5 business days???? (not at all acceptable). Calling Support Hotline –> waiting 45 Minutes to get the first person –> which forwarded me to Business Support –> waiting another 30 Minutes –> To finally get someone that tells you some b….. and in the end hanging up on me ??? Business Support???? Sorry not even in my worst nightmares I would do this to one of my customers!!!! Sorry ESET worst Support I have ever experienced!!! !